What’s the first thing that pops into your head when someone mention’s these two words - Haunted House? Scary? That’s a given. Cold? Yes, there are cold patches inside the house where paranormal activity is present. Ugly? Yes again, but not all. There are haunted houses that are architectural wonders despite being threadbare for decades. Since it’s that time of the year to get spooky, let’s focus on these beautiful haunted houses that we actually want to own and live in! No, we don’t. We really appreciate their beauty though. Located at Royal Street in New Orleans, this tri-level building with juxtaposed French and Spanish Colonial architecture garnered plenty of admirers including Nicholas Cage. The actor bought the gray mansion because of its beauty and ‘ghostly quality’. The mansion was once home to socialite couple, Dr. Louis and Delphine LaLaurie, from 1831 until 1834. It was also during this period where Madame LaLaurie tortured and killed her slaves. The fire in 1834 (set by the cooked that was chained to the stove) exposed the gruesome on goings inside the mansion. LaLaurie fled to Paris, and was never held accountable for the atrocities she committed. 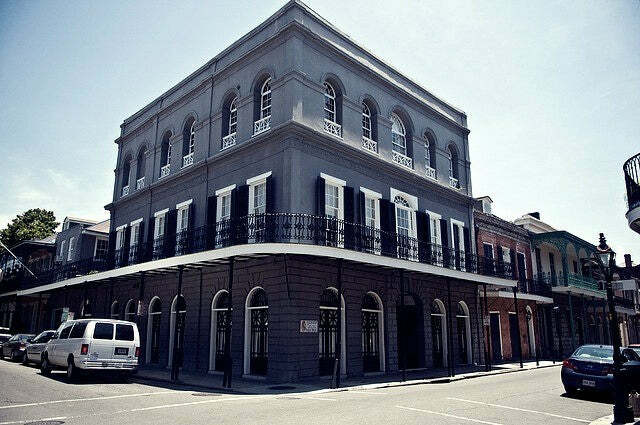 In 2010, the infamous French Quarter building has undergone extensive renovation. Some of its original details such as the rich woodwork and the angels in the dining room were retained. A massive wooden home (a luxurious version of a Russian Izba or Log Hut), created by Ivan Pavlovich Ropet, is tucked away in an abandoned village in Ostashevo, Russia. The house’s exterior boasts of dynamism with its intricate Vologda carvings. These artistic carvings were created not only for aesthetic puposes, but for protection as well. They are said to protect the tenants from evil spirits. The well-crafted carvings along with gorgeous frescoes can also be found inside the house. Although decrepit, the French Baroque-style building in Beijing still has the remnants of what once was a glorious structure. The red brick façade is partly covered by what appears to be ivies, and some of the glass windows are broken. The mansion was originally built as a church by the Qing family. It’s been reported that the wife of a top Kuomintang (Chinese Nationalist Party) official hanged herself inside the house when her husband left her in 1949. It’s the year when the Communist overthrew the Nationalists in China. Ghostly sightings have been reported since then. 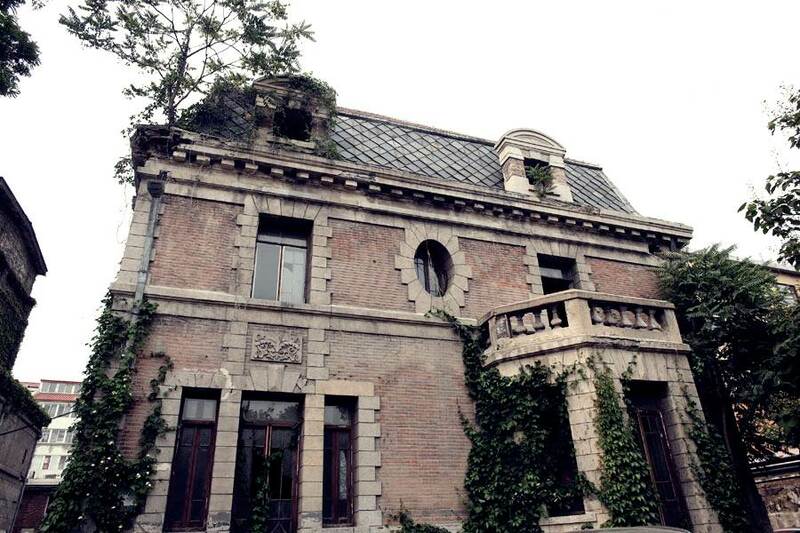 Renovation of the building was attempted since the mansion is part of the list of architectures that should be preserved in China. It was, however, halted due to the disappearance of some construction workers. Laperal Mansion Nothing can clabber one’s blood than a house with a morbid history such as the Laperal Mansion. 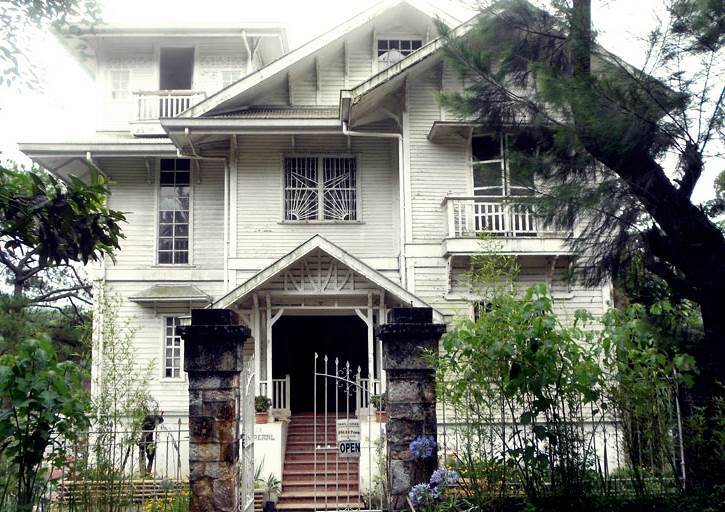 The mansion rests on Leonard Road in Baguio City, Philippines. The magnificent Victorian-style house was owned by one of the most affluent families in the said city. According to a longtime caretaker of the Laperals, during World War II, the Japanese soldiers turned the house into a makeshift barracks where they brutally tortured and murdered civilians. Strange footsteps, ghostly apparitions, and moving objects were some of the reported mysterious activities in the area. Thankfully, the house is wonderfully preserved and is now an exhibit area for local artists. The most famous residence in the world is referred to as a fortress because it’s strong enough to withstand any attack.....except for ghosts. The Neoclassical-style building that was built in 1792 was designed by James Hoban. 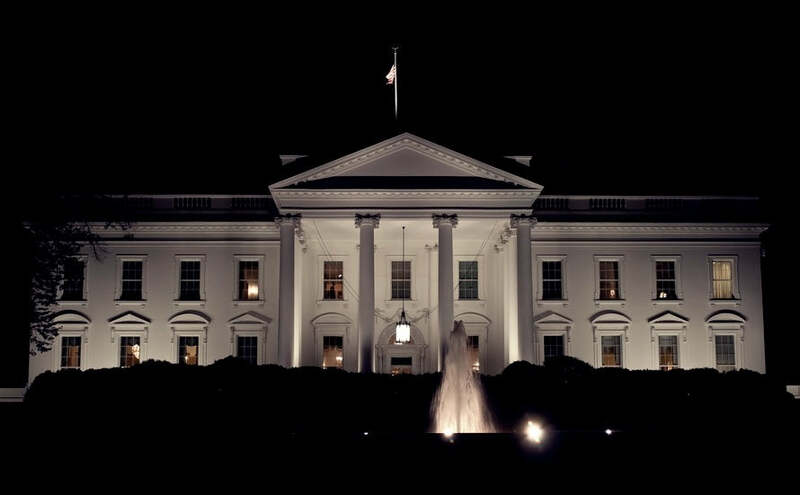 Eerie apparitions inside the house at 1600 Pennsylvania Ave. in Washington, D.C. run the gamut – from President Lincoln standing inside the Oval Office to the spirits of doormen still doing their duties. Even the famous current residents experienced these bone-chilling activities. President Obama and The First Lady were, apparently, awakened by a strange noise in the middle of the night. The couple investigated, but found nothing. Do share with us haunted houses that you find beautiful!